Mardi Gras // Gumbo le Funque live! 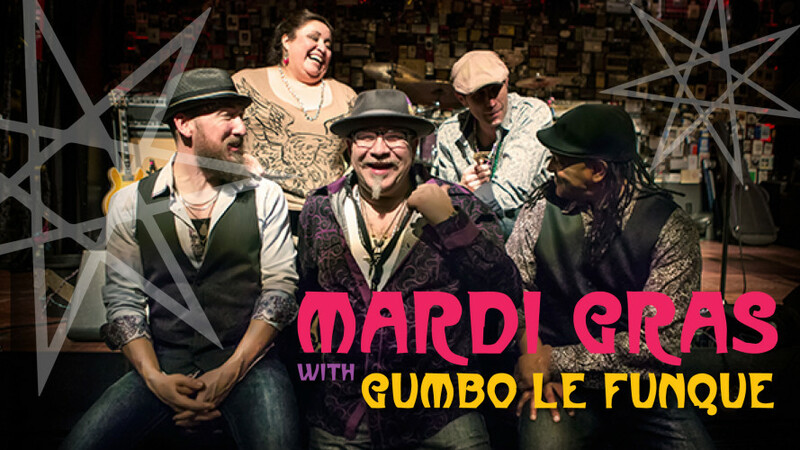 Join us for a real Mardi Gras celebration with Gumbo le Funque a band so dirty, so funky, so dangerous, you’ll be on your feet all night long! La Rue Bayou food truck will be serving up crab cakes, gumbo, po’ boy sammies , beignets, & more! Come with your best Mardi Gras attire and you'll be entered into a raffle for sweet prizes including crowlers, merch and gift certificates. We’ll have a local talented face painter starting around 5pm! Come early to get decked out with paint & glitter! Fun for kids too!! Complimentary beads & glitz. Get down with us!